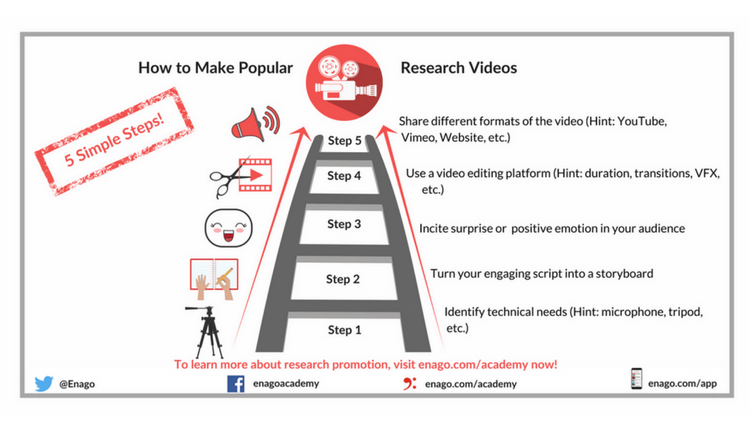 Summarizing your research into an engaging and easy-to-understand video is an effective way of sharing/promoting research. Gaining popularity among academics and general public alike, these videos can help increase the visibility and discoverability of your research. To learn more about research videos, click here.